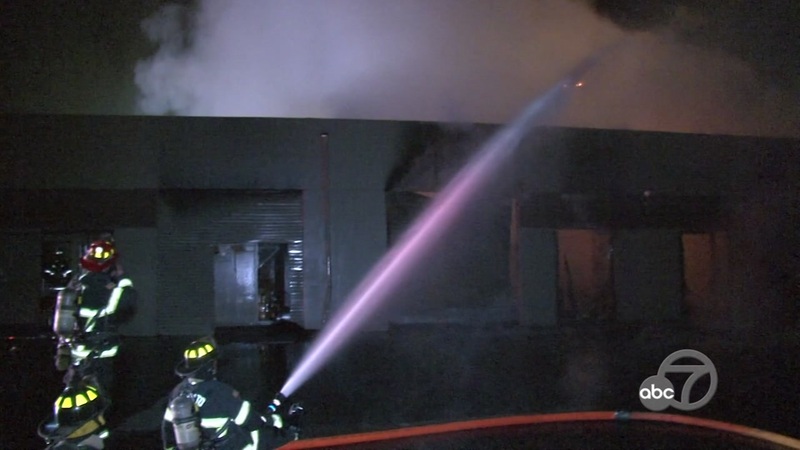 NOVATO, Calif. (KGO) -- Several businesses have been damaged after a fire erupted in Novato overnight. Fire crews were called to Bel Marin Keys Boulevard near Hamilton Drive, just after midnight. Two people were inside. They were able to escape safely. People passing by saw the fire and called 911. It took crews about an hour to get the flames under control. Arson investigators have been called in. "There are approximately 8-10 businesses in this building. Currently all uninhabitable. A few with significant fire damage, complete loss and some with smoke and water damage," said Novato Fire Protection District Deputy Fire Chief Jeff Veliquette. The Deputy Fire Chief believes the fire started somewhere in the middle section. But, they won't know for sure until the investigation is complete.